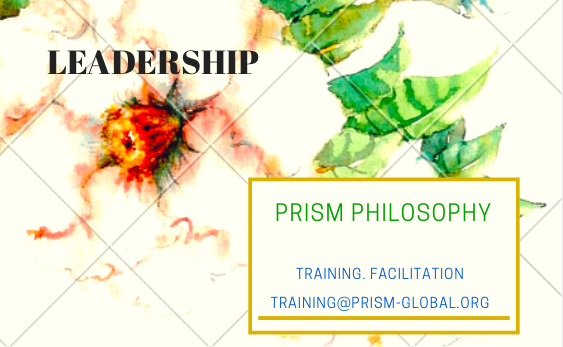 The production level 3 of leadership communicates the vision of the organization through action. Level 3 leaders help people see what productivity looks like. This encourages team members and validates their efforts. Productivity also helps people recognize that they can actually accomplish more than they believed was possible. *Be successful before trying to help others be successful. *Hold themselves to higher standards than they ask of others. *Make themselves accountable to others. *Set tangible goals and then reach them. *Accept responsibility for personal results. *Admit failures and mistakes quickly and humbly. *Remove themselves from situations where they are ineffective. 1. The Law of Significance: One is too small a number to achieve greatness. 2. The Law of Mount Everest: As the challenge escalates, the need for teamwork elevates. 3. The Law of the Catalyst: Winning teams have players who make things happen. 4. The Law of the Bench: Great teams have great depth. 5. The Law of Dividends: Investing in the team compounds over time. People want to succeed. If they are not succeeding, they want to know what adjustments they need to make in order to succeed. Most people are willing to change if they are convinced that changing will help them win. Productive leaders take responsibility for guiding team members through this process. Leaders who reach Level 3 always experience success, but not all of them capitalize on that success and move on to the next level. To do that, they must remain focused and productive — all while cultivating and preserving positive relationships. *Think about things that help others become better, both individually and as a team. They can do this by turning the focus outward from their own production and helping others become high producers. *Define each team member’s area of contribution and figure out how they all work together to make the team most effective. *Meet with the team daily (or at least weekly) to give feedback on performance. They must praise people’s efforts, help them learn from their failures, and reward their successes. *Find challenges for people to win together as a team. The greater the number of wins, the more they can increase the difficulty of the challenges. *Momentum Makers: Producers who make things happen). *Momentum Takers: People who go along for the ride. *Momentum Breakers: People who cause problems and hurt moral). *Be responsible for making the decisions and initiating the changes needed for the team to succeed. This can be done by setting aside an hour a day to think of five new ways to change things for the better. When leaders learn to function on the permission level, they do more than merely comply with orders. They follow because they want to. Building relationships develops a foundation for effectively leading others. People connect across the lines between their job descriptions and departments. Moving up to Level 2 is where followers give their supervisors permission to lead them. Level 2 leaders shift their focus from “me” to “we.” They develop relationships and win people over with interaction, not the power of their positions. Good relationships create energy and give interactions a positive tone. On the permission level, leaders listen to their people and their people listen to them in return. A Level 2 leader’s goal is to become aware of the uniqueness of people and appreciate their differences. He does this by letting them know that they matter and that they are seen as individual human beings, not merely employees. Trust is the foundation of permissional leadership. The more trust a leader develops, the stronger his relationships become. Leading by permission may appear “soft” to some people since caring for others can be seen as “weak,” especially by leaders with a natural bias toward action. Those who start on the hard side and refuse to learn softer skills often get stuck at Level 1. The most common reason for leaders to not move up to Level 3 is that they become so relational that they lose sight of the primary goal of leadership: helping others work together, move forward, and achieve more. When leaders are relational, their followers sometimes mistake kindness for weakness. They believe that encouragement means they do not have to respect boundaries, and they assume that empowerment means they have the freedom to do what they want. *Choose to care about others. *Look for something likeable about every person they meet. *Discover what is likeable about themselves and do whatever is possible to share that with the people around them. *Make the effort every day to express what they like about the other people in their lives. When a person gains a leadership position, it is usually because someone with authority perceives talent and potential in that person. In the beginning, this person has limited power. Most leaders need to prove themselves before they are given more responsibilities. 1. Ethical Values: What does it mean to do the right thing for the right reason? 2. Relational Values: How does a person build an environment of trust and respect with others? 3. Success Values: What goals are worth spending a life on? People who rely on their positions invariably place a high value on holding on to those positions above everything else they do. This attitude does nothing to promote good relationships with others. These positional leaders often make other people feel small by not genuinely believing in them. They assume people cannot instead of assuming that theycan; they assume people will not rather than believing that they will; and they view people as liabilities instead of assets. Positional leaders focus on getting the largest staff and the biggest budget they can — not for the benefit of their organizations, but so they can expand and defend their turfs. This action often incites others to do the same, creating a vicious cycle of gamesmanship, posturing, and maneuvering. This often results in departmental rivalries and silos. When people use their positions to lead others for a long time and fail to develop influence, they become branded as positional leaders and rarely get opportunities for advancement. The people who work for them often use the limits of their job descriptions as leverage, doing only what is required of them. The single greatest hindrance to a leader’s growth is becoming positional in his thinking. When a person thinks he has arrived — no matter where his position is in the organization — he has lowered expectations for himself, sold his leadership short, and fallen into a no-growth mindset. 1. Titles Are Not Enough: Knowledge that titles have little real value and that position is the lowest level of leadership brings a healthy dissatisfaction with Level 1 as well as a desire to grow. Leadership is meant to be active and dynamic. Its purpose is to create positive change. 2. People — Not Position — Are a Leader’s Most Valuable Asset: A leader cannot focus on rules and procedures to get things done or keep things going. The reality is that people get things done, not the playbook they use. Relying on position is not the ideal way to get the most out of people. People must be put ahead of position. 3. A Leader Does Not Need to Have All the Answers: A leader’s job is not to know everything, but to attract people who know things he does not. 4. A Good Leader Always Includes Others: Stand-alone leadership does not lead to teamwork, collaboration, or high achievement. Moving from Level 1 to Level 2 requires a change of attitudes toward other people. Others must be included in the leadership journey. *Write a declaration of commitment to growth that describes what actions will contribute and how it will be approached. Sign and date the declaration. Put it someplace safe for future reference. What leadership practices do I want to put in place? *Shift from positional leadership to potential leadership. Rewrite goals to embrace a non-positional mind-set. *Focus on the vision. Write down the vision of the organization and how the team helps to contribute to that vision. Then write down specific ways to make it easier for team members to help fulfill that vision. *Find a leadership coach. Ask someone to serve as a coach or mentor. Meet with that person 4 to 12 times a year. Plan what questions to ask and what type of advice is needed to solve specific problems. *Thinking through the sources of innovation. *Going out to observe, seek, and listen to the trends of public opinion. *Producing innovations that are clear and simple. *Aiming toward leadership. If innovations do not aim at leadership from the beginning, they will unlikely be innovative or capable enough to establish themselves in the market. *Trying too hard to be clever. *Being unusable without necessary training. *Diversifying into too many things at once. *Innovating for the future. Unless there is an immediate application of a product or system, it is unlikely to be successful. Innovation requires work, ingenuity, focus, and talent to be successful. To succeed, innovators must build on their strengths. Innovation must be focused on and driven by the market. By combining these principles and sources of opportunity, everyone can be innovative leaders in their industries, despite whether they are private or public.